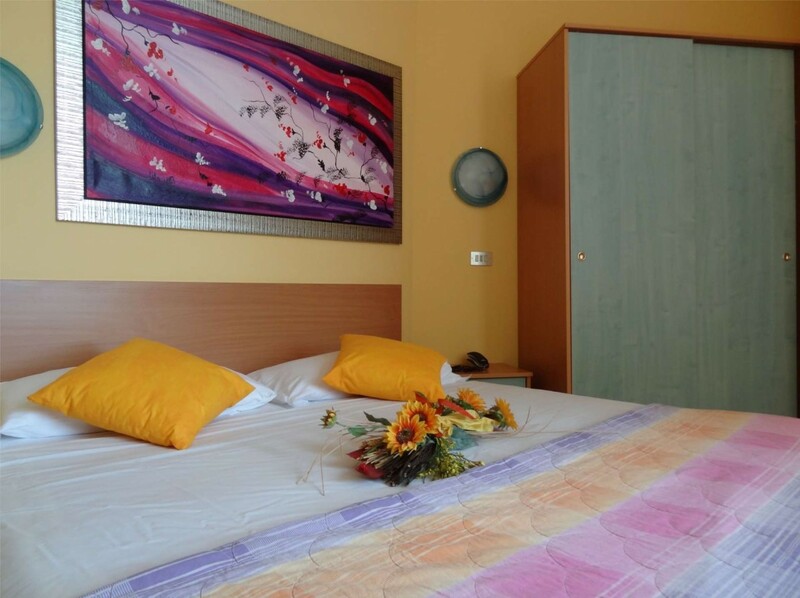 The rooms in the Hotel Jumbo are modern and functional, very comfortable and stylishly furnished. They all have air conditioning, free of charge and individually controlled, private bathroom, call-through telephone with alarm clock function, digital safe, new 22 inch led tv set and sea view balcony. Upon request we provide also a small fridge. 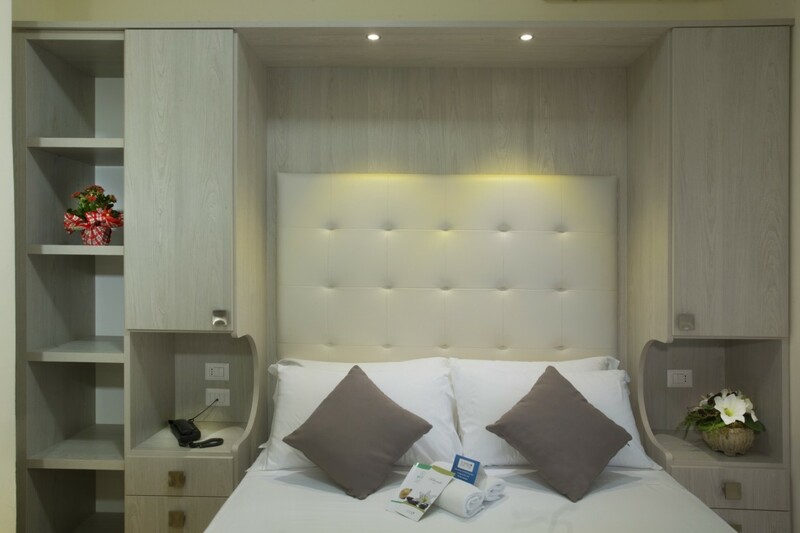 Wireless internet connection is also avilable in the rooms, for safe and fast browsing, so you can share your holiday experiences immediately with friends and loved ones on the social media. We also provide bathrobes, newspapers and magazines for a small fee, to give you maximum comfort. For your holiday accomodation, you have the choice between the room types “Standard” and “Comfort”. 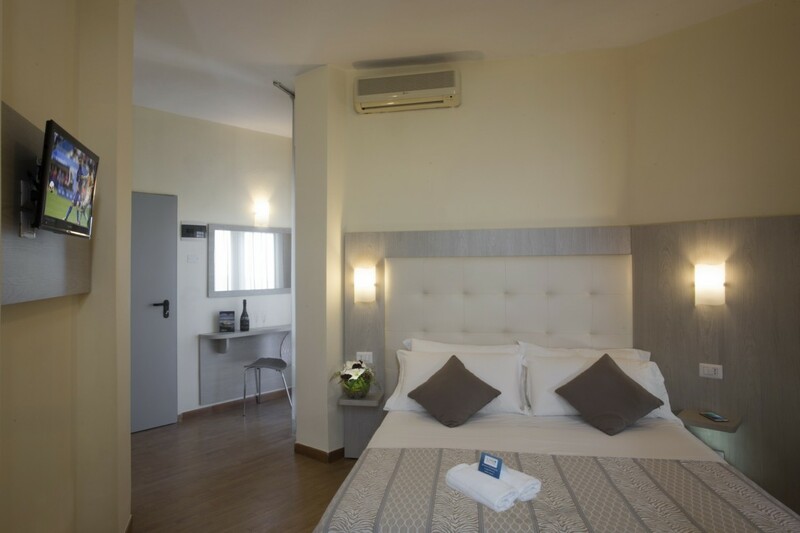 The size and the equipment of both are the same, but the “Comfort” rooms have new furniture that is very elegant, and a really beautiful view to the sea. 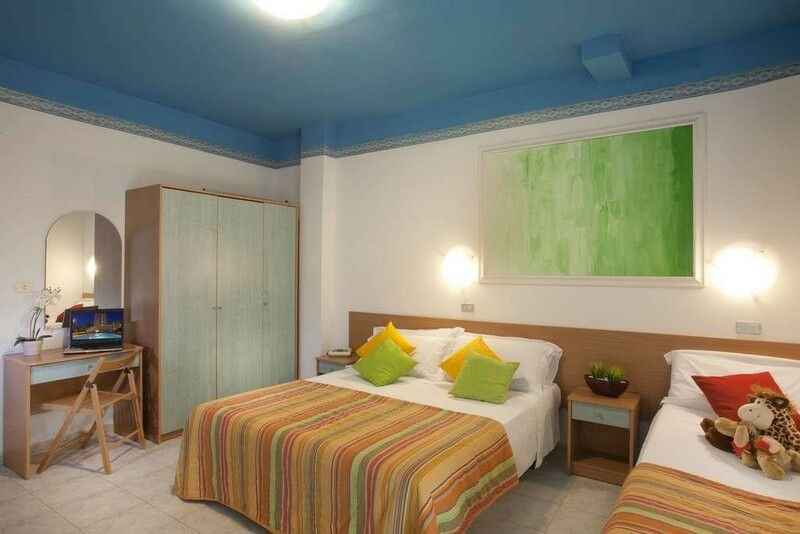 For these rooms we charge a small supplement of € 10,00 per day per room.